I click a lot of links in my never-ending quest to find valuable and inspiring social media material. Some of my favorite “Twisdom” is discovered in blogs. In fact, seeing the words “NEW BLOG POST” in a trusted colleague’s Tweet nets a near 100% CTR (click through rate) from me. And yet, I’ve noticed a disturbing trend as I spread my blogging horizons: a lot of allegedly new posts aren’t really new! Instead, one writer’s “New Blog Post” is his third share of yesterday’s post; another’s is her reworded blurb about last month’s entry. As a fledgling blogger myself, I understand that the word “new” builds a lot more interest than a more accurate alternative (“old,” “recycled,” “outdated,” etc. ), but if our blogs are our brands, aren’t we jeopardizing our good names with blatant false advertising? And, almost as importantly, doesn’t this piss off anyone else? I usually tweet a bunch on the day a new post comes out – then don’t promote it anymore unless a relevant situation comes up. There are a couple folks who seem to make a habit of regularly tweeting content that they wrote over a year ago. It just irks me a bit because I’m expecting new content and I get old stuff – just to increase their page views. I could not agree more, Nate. Perhaps it’s the nature of a social media community increasingly driven by stats; our Klout scores, page ranks, comments, click-throughs and more have become the currency with which we (and others) evaluate our online influence. But to favor quantitative metrics over good, old fashioned content? This can’t be what God imagined when he invented the interwebs. 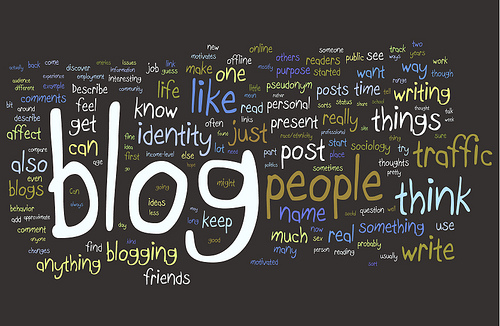 Is honesty too much to expect from the blogosphere? Can’t we all agree that something is “new” only once…just as we can all agree that something can still be pertinent, interesting and/or original even if it wasn’t first shared an hour ago? We have a society driven by immediacy, but that doesn’t mean that some among us aren’t still willing to look to the past for answers to our future questions. I ask you, blog readers and writers – am I missing something? Do the ends (your page views and response rates) justify the means (dishonesty about what’s new)? Shouldn’t this be something we all take action to change? This entry was posted in Social Media and tagged Blog by matthewsm1th. Bookmark the permalink. Thanks, Scott! Glad I could give you a chuckle…and happier still that I steered away from an outdated “Al Gore invented the internet” joke. I think if someone isn’t good at writing content they rely on what they’ve done in the past – especially if that translates into the almighty pageview …especially with tech related posts. While it’s okay to be reflective on the past you need to move forward and that includes fresh content. Dave – that’s a smart comment. Thanks! I think being reflective is a good thing almost all the time. I simply hate the intentional misdirection of promoting the past as present…or old as new (even when it is entirely relevant)!